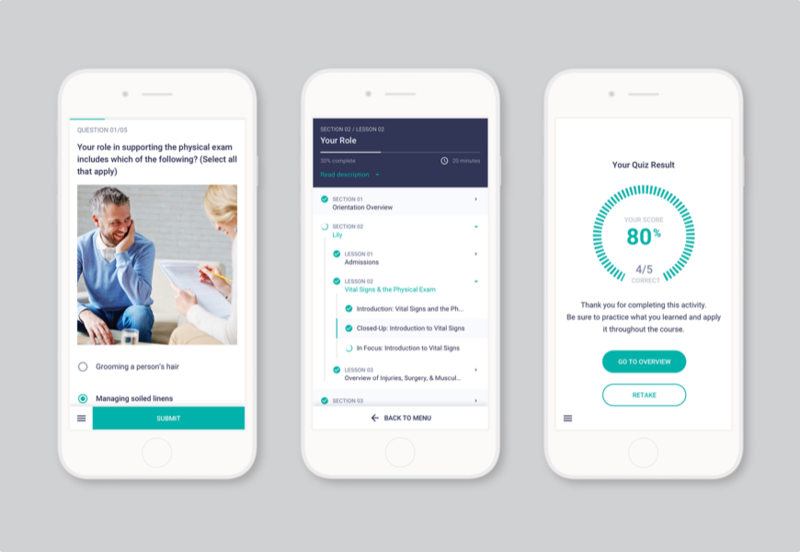 A multi-national company, based in Germany, launched Straightaway, a new e-Learning and Training company in North Carolina, to train entry-level health care providers (primarily Certified Nurse Assistants) with the goal of reducing staff turnover. Straightaway selected Skapa to be its technical partner to customize an existing e-Learning solution for their specific needs. Skapa was chosen because we have the business expertise and technical "chops" to bring the product to market. The training application or Learning Management System (LMS) is entirely web-based and is comprised of videos (over 600), quizzes and simulations. Learners are able to watch the videos using their desktop, tablet or mobile devices. The LMS tracks and stores a learner's progress so that instructors and administrators can track how their learners are progressing. 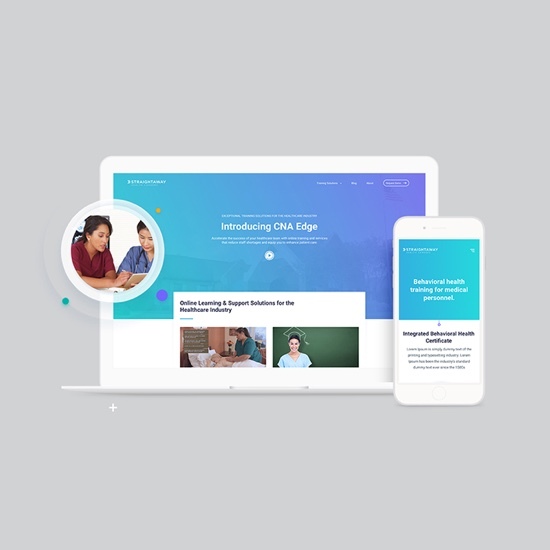 Skapa was able to use an existing LMS as the base for the Straightaway LMS and customized it to provide a learning environment with significant user-experience (UX) enhancements as well as integrating it with a custom-simulation system. 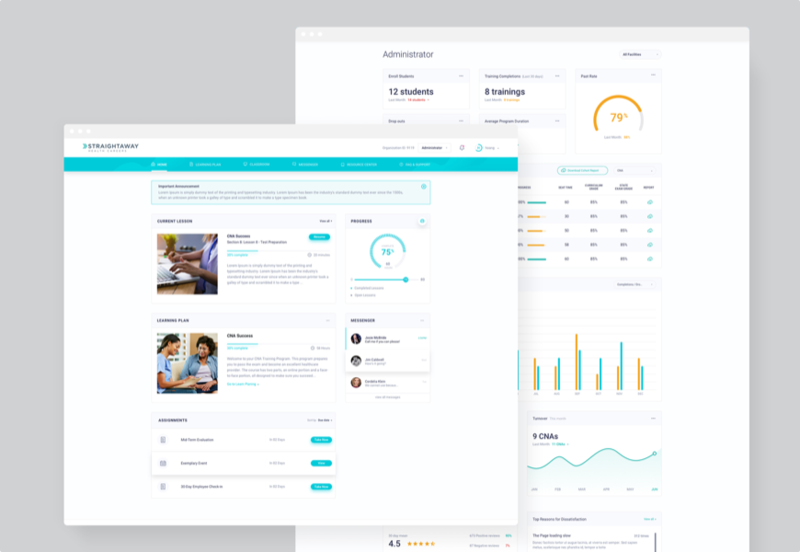 The Learner dashboard, featured on the left side, is intuitive and provides the learner with a snapshot to see their progress through the curriculum and their most recently watched content. The administrator dashboard provides instructors and administrators the ability to track learner progress across the organization and at the facility/building level. It provides detailed information about test results as well as learning trends. 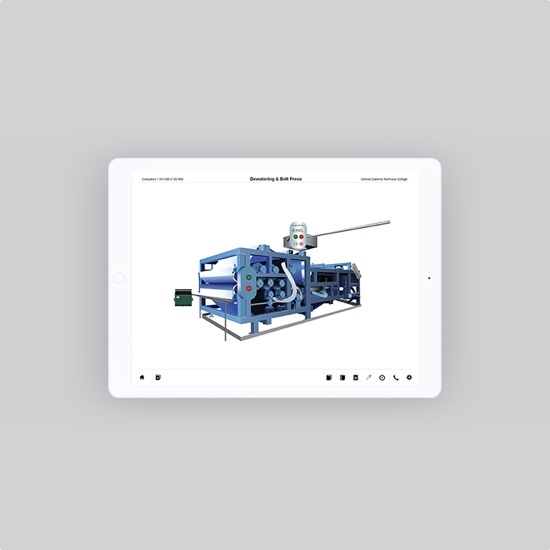 The application is optimized for a mobile experience, including videos and quizzes. The learner can learn the content whenever, and wherever they want. The LMS's classroom environment provides learners with the ability to post comments, skip (if the organization allows it) and view the entire curriculum. They can also easily assess their progress throughout the curriculum by using the status bar at the bottom of the screen. John Jay Product Manager. Straightaway Health Careers, Inc.
Straightaway Health Careers has relied on the experience, expertise, and technical knowledge of Skapa since our founding in early 2017. 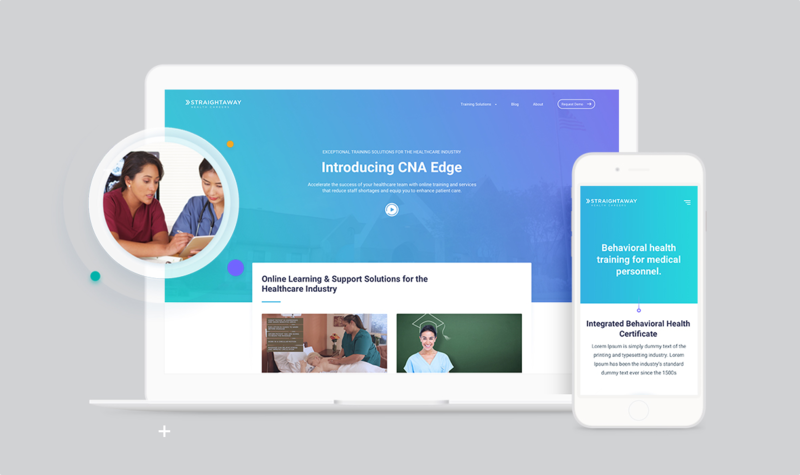 Straightaway is an eLearning company focused on providing employers with exceptional online training and retention services to prevent shortages of healthcare support staff, and Skapa has been instrumental in the development of our customized learning management system, the SLMS (Straightaway Learning Management System). From the beginning of our relationship, Ryan and his team at Skapa have been immensely helpful at analyzing technology feature requests from both a technical and business standpoint, helping Straightaway make important platform decisions from an informed and cost-effective perspective. The responsiveness and quality of work has been top notch, with target milestones hit, and quality objectives achieved. Most recently, Skapa developed several new platform enhancements to the SLMS that will allow Straightaway to target additional audiences, as well as upgrades to key existing functionality. 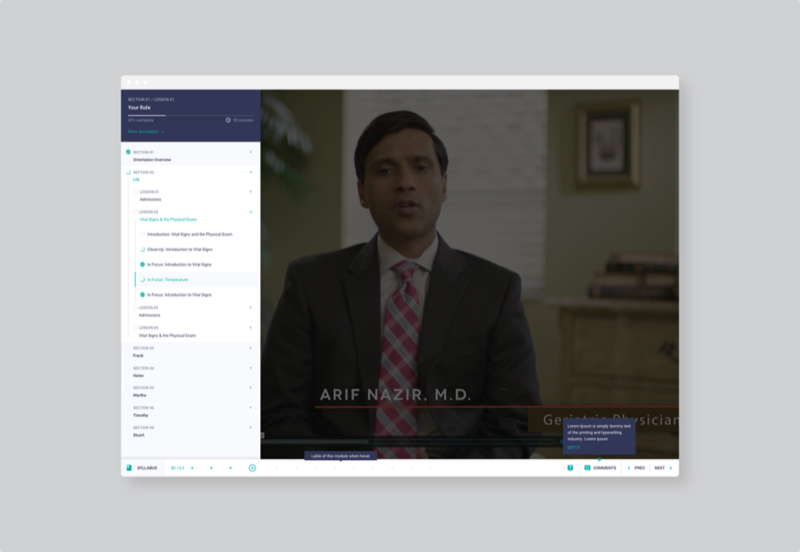 We couldn’t be more pleased with how Skapa was able to take our vision for these enhancements and transform them into reality, taking into account the technical aspects and integrating that into a top notch end user experience. Straightaway is excited to continue working with Skapa in the future as we expand and enhance our solutions!